Beer #2836 is a barley-wine style ale brewed by Alesmith in San Carlos, California, America. 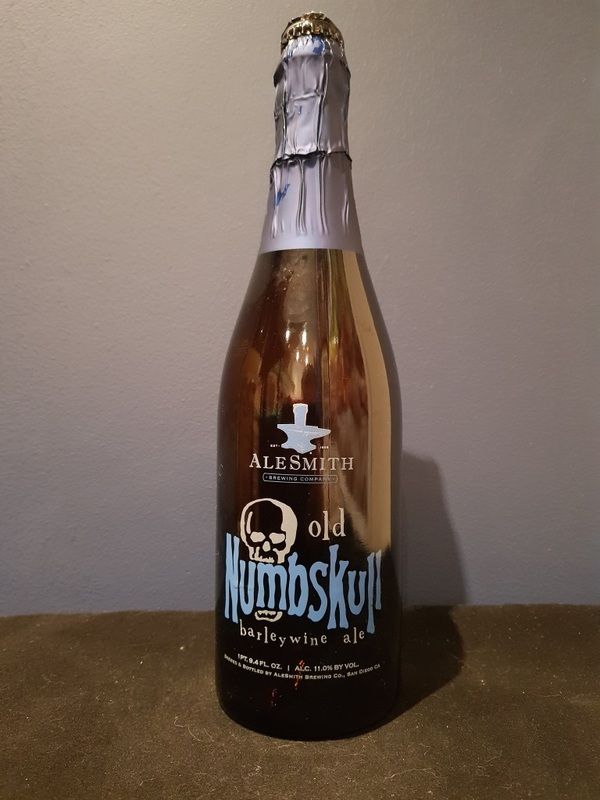 A celebratory and expensive ($35) barleywine-style ale purchased the week before my 50th birthday (18th August 2018) and rather appropriately named as I’m now an old numbskull myself. It’s rich and sweet, a bit cloyingly sweet actually, with toffee, caramel, roasted malt and some dark fruit. There’s some bitterness (not aggressive like the label describes though) that doesn’t manage to overcome the sweetness. The 11% ABV isn’t hidden well either. Good but not great. The bottle size is 750ML with an alcohol content of 11.00% (containing approximately 6.50 AU / 8.20 UK standard drinks), and it costs $35.00.